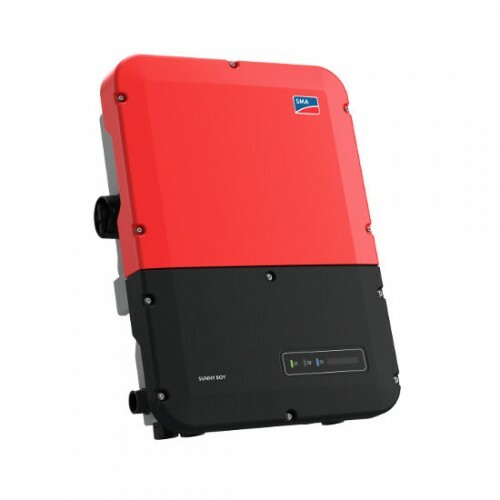 The Sunny Boy 5.0-US is a transformerless PV inverter with three MPP trackers, which converts the direct current of the PV array into grid-compliant alternating current and feeds it into the utility grid. SMA has increased the SPS functionality up to 2,000W (20A outlet size required, but not included), integrated the DC disconnect into the inverter body, and added an additional MPPT channel. This is a great opportunity for savings on designs that might have needed two inverters while adding the opportunity to leave a MPPT channel open for future expansion. Sunny Boy's multiple independent input channels, each with SMA's OptiTrac™ Global Peak, mean hundreds of stringing configurations for flexible system design while solving the challenges of complex roofs and shading. The inverter is suitable for indoor and outdoor use. Multiple independent MPPT's accommodate hundreds of stringing possibilities - The "4-String-Operation" function allows the DC inputs A and B of the inverter to operate in parallel and up to three strings to be connected to it in parallel. As a result, as opposed to normal operation, up to four strings can be connected to the inverter. The inverter automatically detects whether the DC inputs A and B are operated in parallel.